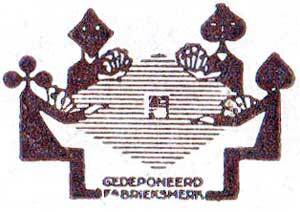 Fantasy mediaeval costume deck, titled “Fortuna”, produced by Speelkaarten-Fabriek Nederland (1909-1969) with reverse for the Royal West Indian Mail Service, c.1926. 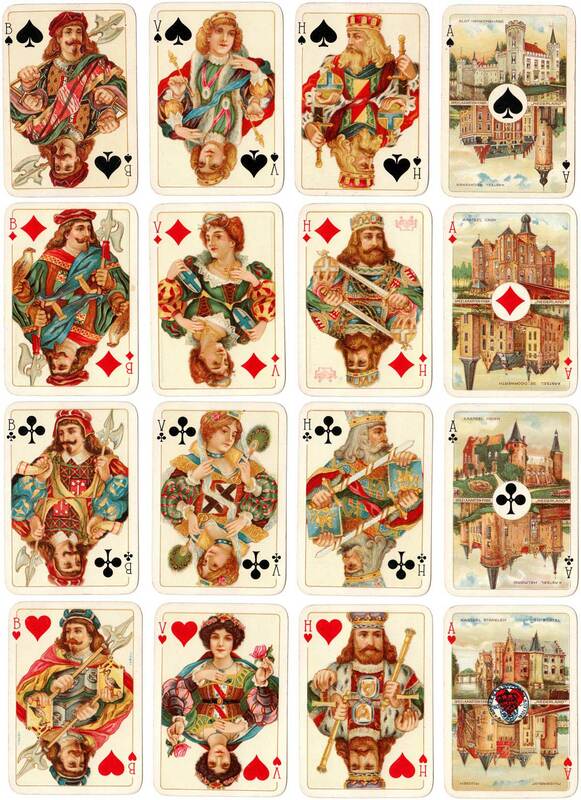 A total of eight different Dutch castles are shown on the Aces. 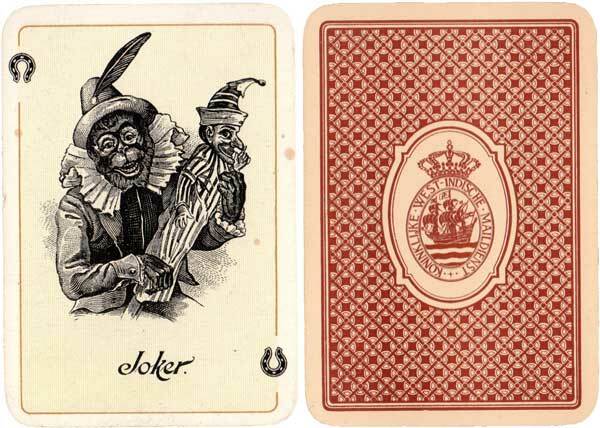 Above: “Fortuna” deck produced by Speelkaarten-Fabriek Nederland, printed in chromolithography, with reverse for the Royal West Indian Mail Service, c.1926. Ace of Hearts shows Stapelen Castle and has the 50 cents revenue tax stamp which was applied at this time. Images courtesy Rex Pitts.